The quality of human resource can either be a source of revenue or they can be the greatest liability. 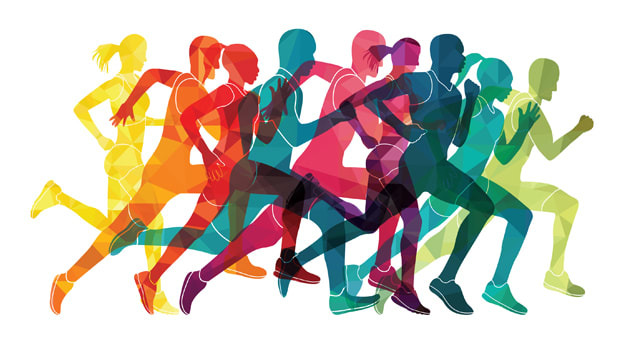 Last month the World Health Organization (WHO) published the report on health and fitness levels across the world, covering 1.9 million people in 168 countries including India. This study shows that 24% men and 43% women in India are physically inactive. Indians are behind countries like China and Pakistan in basic health fitness standards. The 2018 report also finds a rise in the physically inactive people in India. India has 563 million young people in the 10-35 years age range. This population will be either an asset or a liability depending on our attitude towards our health and fitness. The two basic reasons for such an alarming decline in health standards in India is a discouragement to sports and increase in consumption in junk food. India’s education system and society at large does not encourage sports and fitness. Thus students and working people alike are falling in basic heath index. According to the WHO, the falling basic health standards are giving rise to disease like cardiac problems, hypertension, and type 2 diabetes, certain types of cancer, and dementia or loss of memory. According to the WHO 150 minutes of moderate intensity exercise or 75 minutes of high-intensity exercise in a week is the minimal requirement to be physically active and healthy. The report also points out that people in the age group of 18-65 do not even walk a minimum of 7000 steps in a week or even 30 minutes of exercise 3-5 days a week. Health issues at young age lead to negatively affecting performance and studies and work. One research last year has pointed out to a trend of stress and emotional disorder among the youth at a very early age due to lack of good health resulting from lack of participation in sports or doing exercise. Absence of physical activity and play time for children in school is leading to decline of social quotient, emotional intelligence, analytical ability and creativity. This lack of fitness at a young age is negatively impacting our human quality. In another decade one in every three people in India will be more than 50 years of age and one in every six people will be will be over 60 in age. Studies have shown that at list 150 minutes of exercise or walk in week can reduce chances of cardiac problem by 24% and chance of diabetes by 30%. Thus the quality of our health will be key to quality of life. Research shows a strong correlation between health of people and sustainable economic growth. It shows that focus on exercise and healthy food has a positive impact on our brain biology. Its leads to the right hormonal or neuro-chemical balance and helps us to lead a quality life. Exercise has a great positive impact on our ability to perform at life and work. Studies have shown healthy people are more engaged at work which in turn will mean less conflict and loss of man-days enabling sustainable economic growth. Research shows that health, happiness and performance are all closely connected. The quality of human resource can either be a source of revenue or they can be the greatest liability.A s we move towards new technology’s and concepts like artificial intelligence, robotics and virtual learning people will need to do more complex jobs and change the way they learn this calls for giving more attention to our physical and mental health to enable us enhance our performance. According to the Human Capital Report, the focus on health of our people is the best way to creating a more collaborative culture and enable people manage stress to ensure sustainable business growth. Exercise and eating right food is a key to develop our future generations as our health behaviour impacts our energy, emotions and thoughts, and plays a key role in our ability to perform, learn and acquire skills. One study in Australia on college-goers shows that a correlation between sports and levels of interpersonal skills and social intelligence. Our health behaviour determines our cognitive ability, energy and resilience. In India we need to change our attitude towards sports, health and fitness. A World Economic Forum study of Dutch teenagers shows they are more like to eat a good breakfast and eat healthier food. Israel and Singapore, which have constraints of land, have developed infrastructure for exercise and sports, especially team sports, that bring people from different communities, age and social strata together and develop people connect. A change in our mind-set towards our priority to our health can be a great boost to drive sustainable economic growth. One way to address the issues of health of people for sustainable economic growth is to make sports a part of the education and our lifestyle. The WHO Study 2018 has recommended governments to develop infrastructure for walking, cycling, active sports, gymming and recreation. We need to make sports a part of learning system and create infrastructure, environment and to motivate our children and youth to participate in sports. Business, industry and society needs to encourage sports, exercise and healthy food, business and industry can play the role of a catalyst to make India healthier. We need to change our attitude towards the concept of fitness, and see it not as a luxury but as a necessity. We need more quality sports and wellness guides who are better equipped to train and guide people to lead healthier life. The initiative to build a Sports University in Manipur by the HRD Ministry is right step. India needs to build many more such institutions that can provide opportunity to the youth take up wellness as their profession to drive the change. The policymakers, infrastructure developers and planners need to actively work to archive the goal for a Healthier India. The level of our human quality will play vital role in India’s economic progress. The ancient India was a land of many sports and forms of martial arts like Kalaripayattu, Huyenlanglon, Gatka and Silambam, it’s time we revived out great ancient martial arts and sporting tradition to engage our children and youth and help them to be healthier and better larders of tomorrow. We need to ensure our future generations are not denied of this great sporting heritage. The health of our people can be our strategic tool for safeguarding our national interest and emergence of a new India. Addressing the challenges to transform our attitude on sports and fitness culture will transform our people into asset enabling India to drive sustainable economic growth. Anirban is the Deputy General Manager – Group Learning & Development at Adani Enterprises Limited.